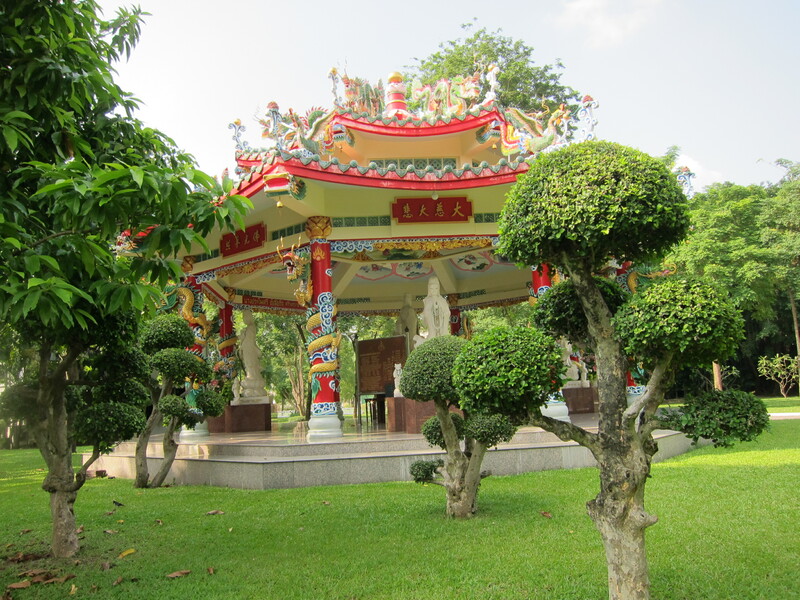 In spite of the fact that we have been to the north and south of Thailand on multiple occasions and loved it, we have not had much interest in seeing Bangkok. Every time we did consider a visit there the city was in a uproar, it was flooded or the airport was shut down by protesters. However, this past week everything lined up for us to see what our friends George and Deb describe as their favourite place on earth. We had a wonderful weekend getting caught up with our friends Gary and Kveta who have now moved on to a teaching position in Pakistan. The hotel was lovely and very reasonably priced for a great little suite. We did make some effort at sightseeing but mostly we just sat around the hotel or the pool chatting. 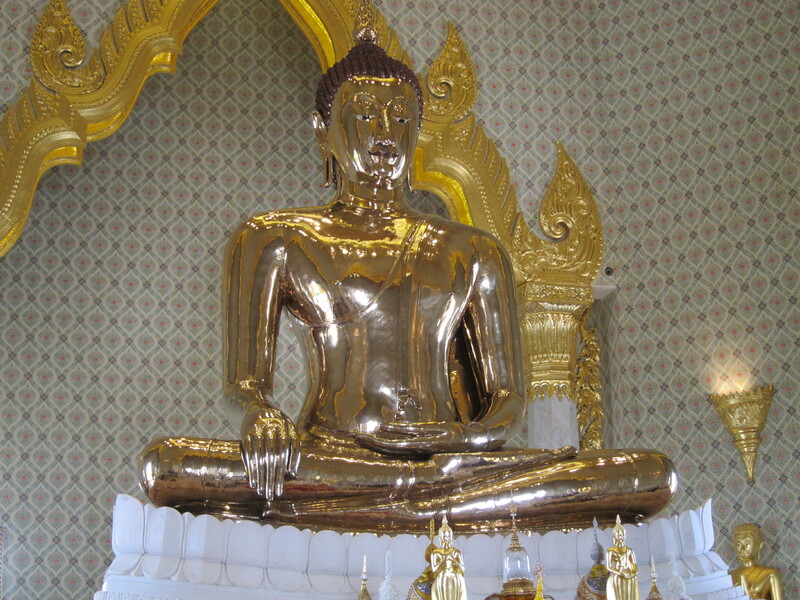 Bangkok has endless malls, some quiet green spaces and incredibly beautiful temples, one with a solid gold Buddha that sits about four meters high. We struggled through JJ Market which is supposed to be the largest such market in the world and walked forever to see the waterfront. Steve had to head back on Monday for work so he did some touring around on his own while the rest of us hit the pool. 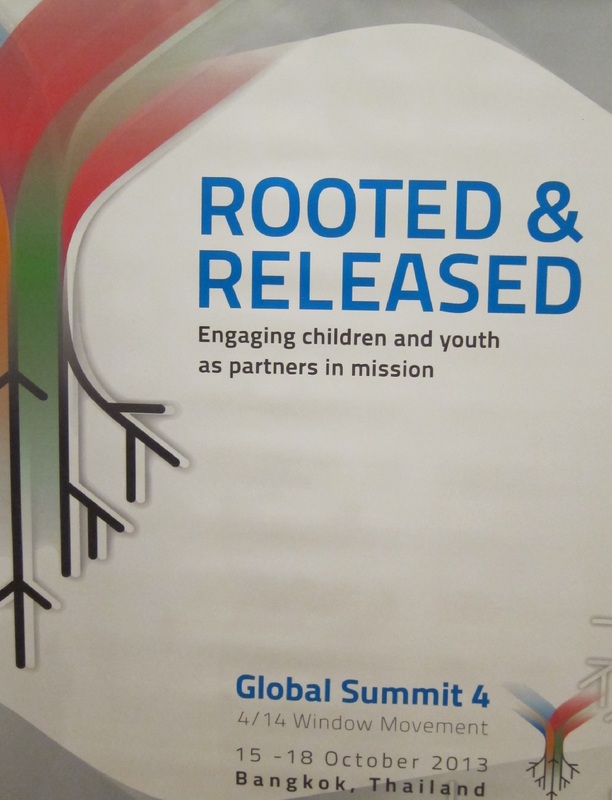 I stayed on to attend the 4/14 Window Movement Global Summit which was attended by almost 1000 missiologists, theologians, church and mission leaders and practitioners representing 70 nations. 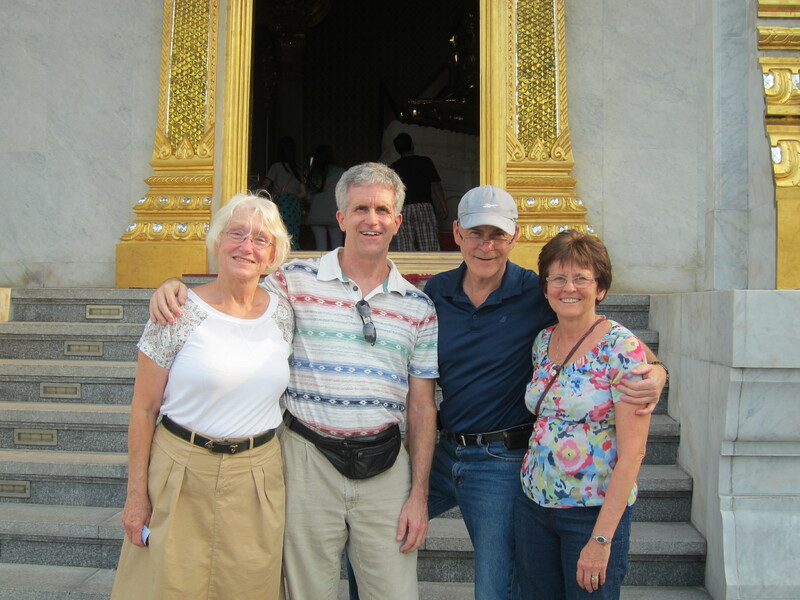 Hosted by Compassion Thailand and the Christian Broadcasting Network, and Promise Church in New York, it was an organizational marvel, especially considering that the organizing team only actually met face to face twice due to their geographical challenges. The 4/14 refers to the demographic of children aged four to fourteen who are our future leaders, and are marginalized by the world and the church yet have a significant role to play. The speakers and children themselves challenged us with the need to ensure that they are solidly “Rooted” and then “Released” with support to do the work they are being prepared to do. It was a very intense learning time but a privilege to hear the heart of so many who have dedicated their lives to serving “the least of these”.